Turkey will celebrat the 90th anniversary of the Republic on Tuesday 29 October 2013. Antalya. 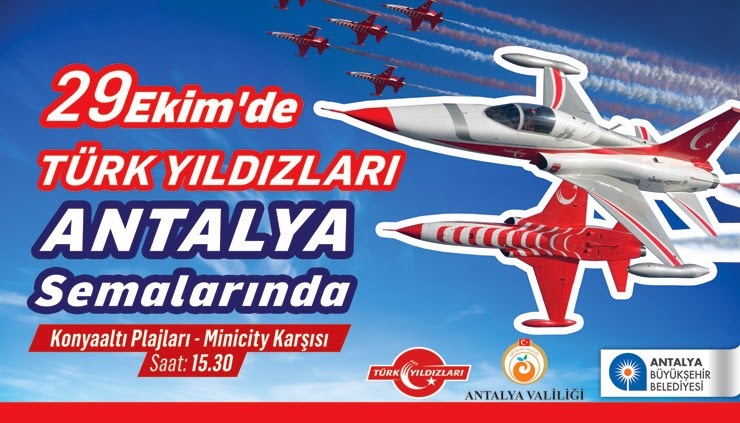 On this auspicious day, The Turkish Stars aerobatics will make the skies above shows by the contributions of the Governorship of Antalya and Metropolitan Municipality of Antalya. 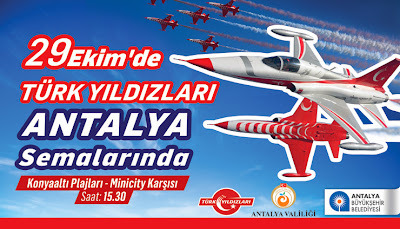 You can watch this beautiful shows from Konyaalti Beachpark - across the Minicity at 15:30.